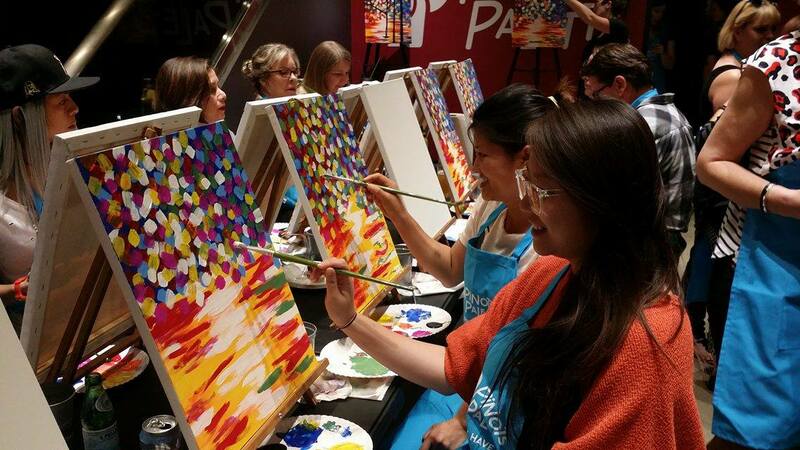 Pinot's Palette Will Help You Find Your Inner Arteest While Feeding You Wine & Cheese - EAT WITH HOP! 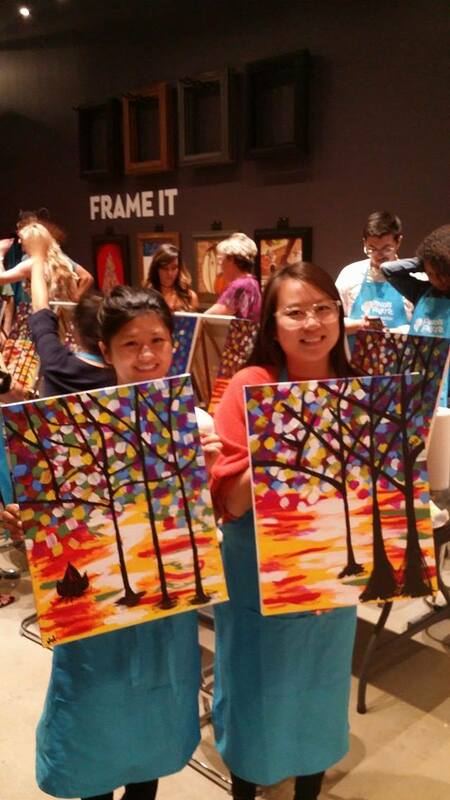 So much fun painting with Nancy! Nancy invited me to paint with her! Unfortunately, traffic was not on her side and I ended up coming earlier than she did. So, I got a head start on my soon-to-be masterpiece! There is an instructor that helps you just let your mind go. 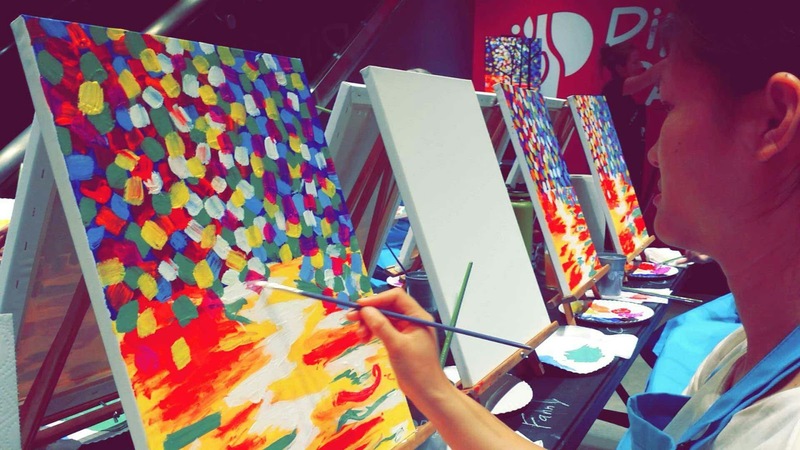 Just relax and relieve all that stress through the strokes of your paint brush. 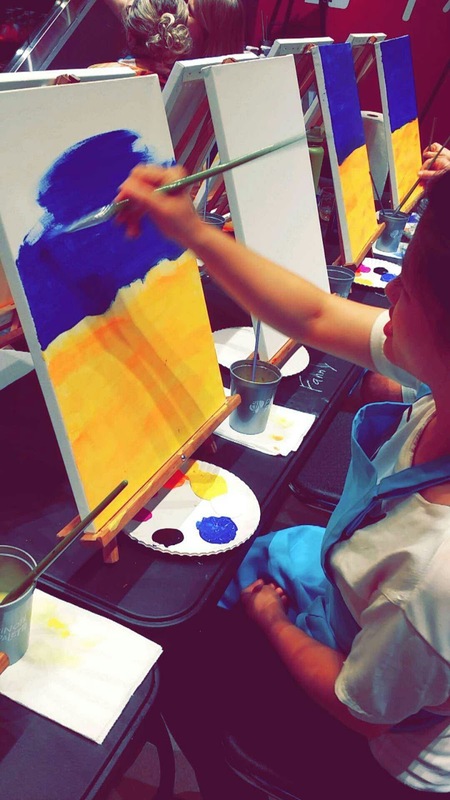 She instructed us to paint half of our canvas blue and yellow! Nancy finally arrived but she caught up quickly! We were already painting the top blue and she was painting like the speed of light! They offer beer and champagne. I opted for something less hoppy. Get it? MY NAME?! HAH! 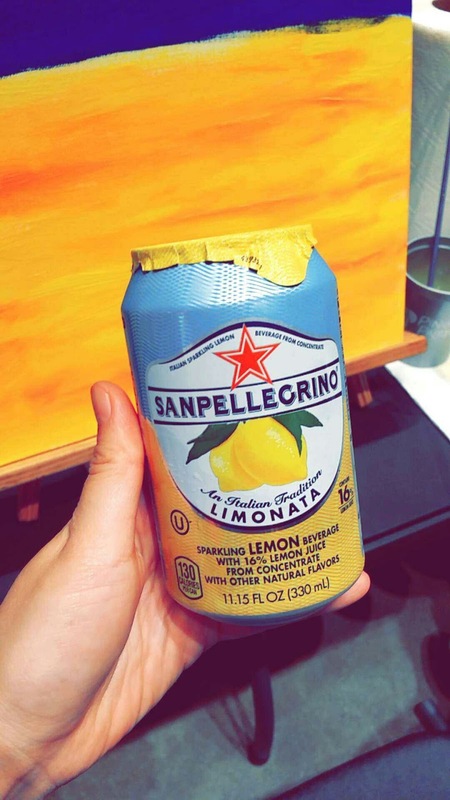 Anyway, this San Pellegrino was very very sparkly and carbonated! It was like a jumpy lemonade! Omg!! Pinot's Palette is amazing! 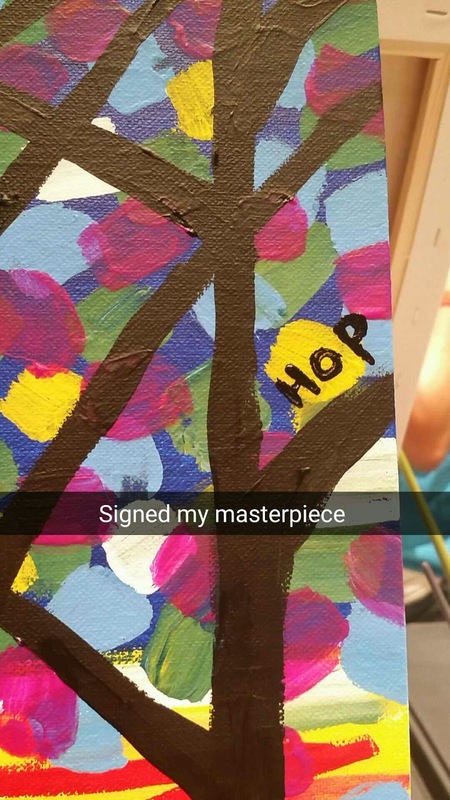 I found out that really, I can be the next Van Gogh. Maybe. The possibilities are endless, you know? So I got to check this place out, and I've always wanted to do these types of events, with Nancy! 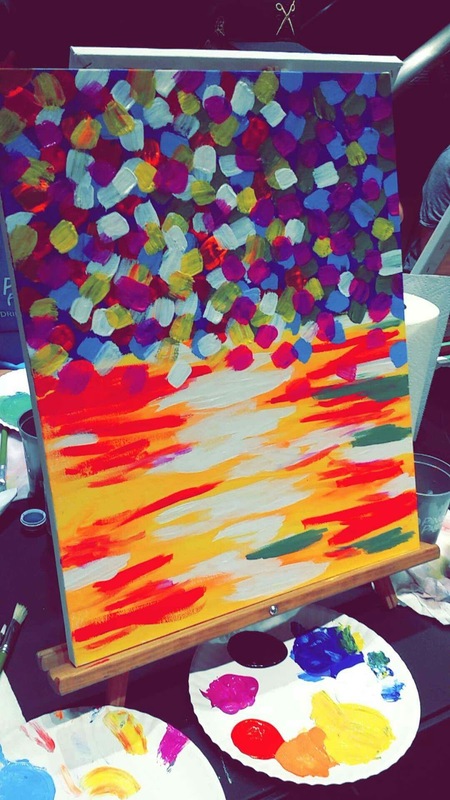 She told me awhile ago that her classmate was working on a project that would allow people to explore their artistic potential. 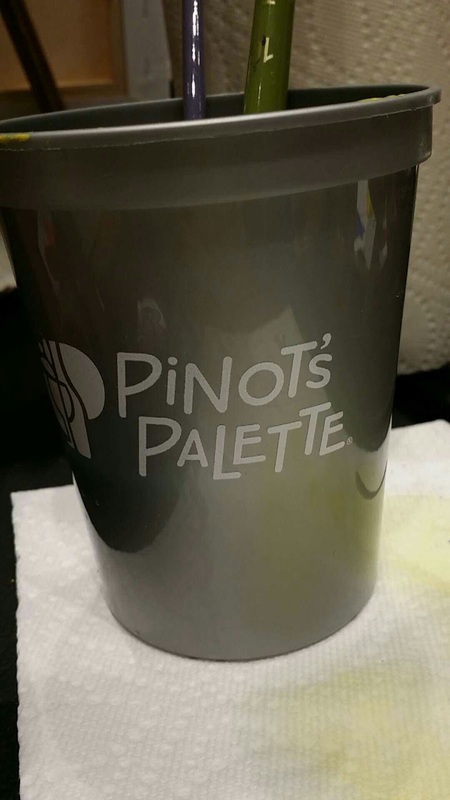 Hence, Pinot's Palette! It's always good to support a fellow entrepreneur! I think the owner chose a fabulous spot too because it's in the heart of Downtown Brea right next to Farrel's Ice Cream! It looks great at night just walking downtown Brea and the festivities of the street just makes me oh so happy! 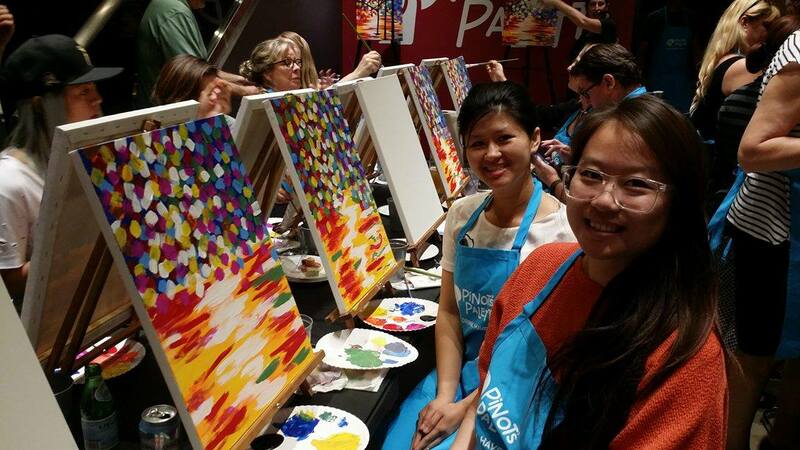 And date night just gets better when you can paint with your friend! Thanks for being my date, Nancy! So when I first came in, I was in awe by the amount of blank canvases and how friendly the staff was! You get your apron first and then find your reserved seat! You'll get to choose either Champagne, Beer, Mineral Water, San Pelligrino, etc. ! There is also a cheese and meat platter. Ummm. Yes! You know your girl got a few plates of those! So onto the painting part. Well, not to show off or anything, but when I was little in elementary, I was quite fab at painting in all the art classes. But nowadays I feel like that creativity is gone. My painting strokes were so stiff and I was way way overthinking everything. 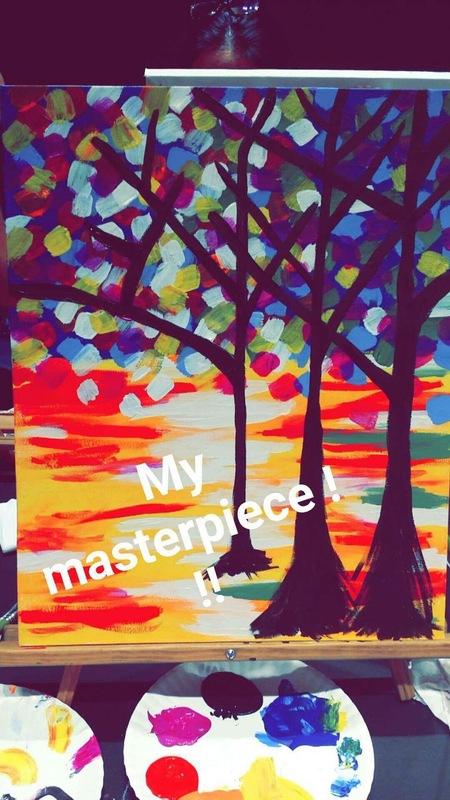 When I finally learned to just relax and let the paint brush flow on the canvas, the artwork definitely started to become museum worthy (I think). There are people walking around to help you just in case you lost your way. I got a lot of guidance with how to stroke better and I think my painting came out to be quite fabulous. When I came come, my parents were so impressed. They were like, "Where did you buy that?" 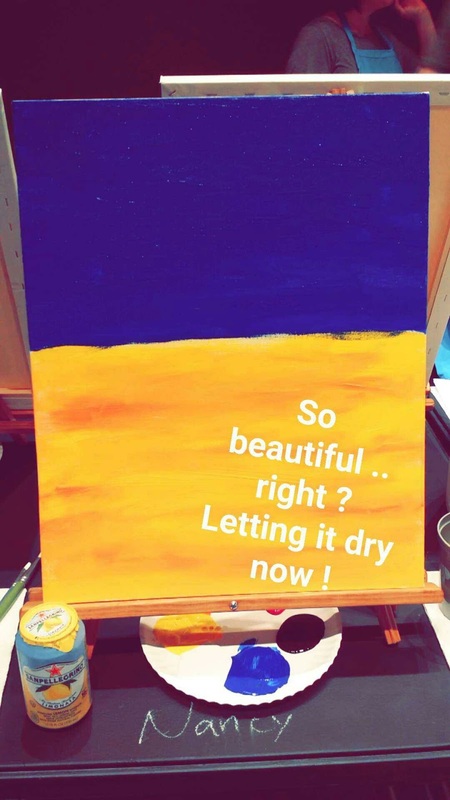 but were shocked to know that I actually was the one who painted it! 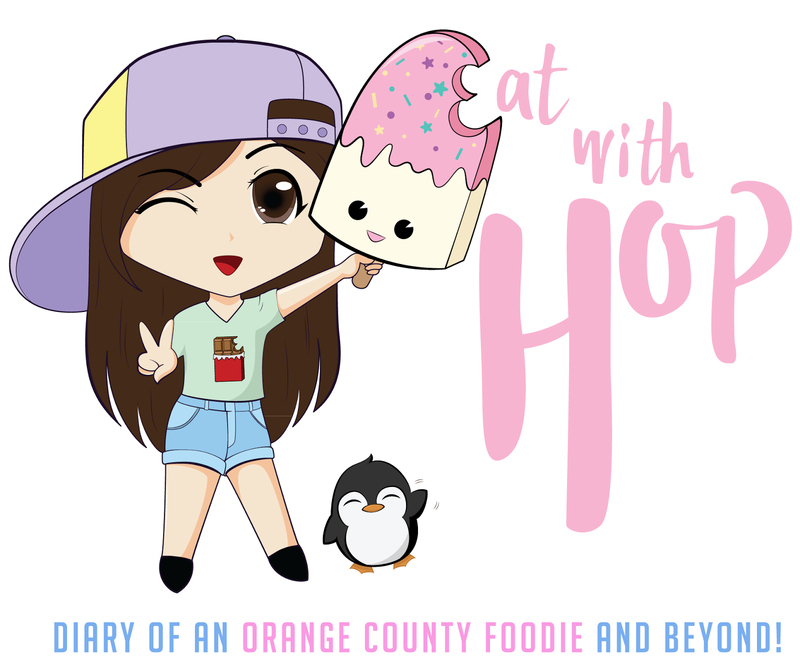 Anyway, y'all should go check it out! Bring a friend, significant other, family member, whoeva! It's fun!